has no basis in law or in fact. King's purported Constitutional grounds have previously held to be without any legal merit, and the judgment of the East Caribbean Supreme Court, which delays extradition for at least two more years, if not longer, again confirms the continuing presence of political influence in many Caribbean courts, and will translate to increased Country Risk, not just for Antigua & Barbuda, but for the English-speaking countries in the region as a whole. If a country's court system is flawed, and ignores the Rule of Law, you do not want to be investing there, or having your bank clients doing business there, or risking loss by engaging in a financial transaction. I wonder if those Caribbean Supreme Court Justices are aware of the economic consequences of their extension of protection to Leroy King, on spurious legal grounds ? Insiders with connections in Immigration have disclosed that Canada plans on requiring that holders of diplomatic passports, from five countries of the East Caribbean, and two in Europe, that offer Citizenship by Investment programs, to obtain visas, prior to entering Canada. This unusual act is an obvious effort to eliminate any diplomatic passport holders who do not meet the international requirements of the 1961 Vienna Convention on Diplomatic Relations, because they bought their so-called "diplomatic" status, with cash. (1) That he or she is a bona fide representative of Dominica, with a designated diplomatic posting in a specific country, or to an international organization or entity. This means they actually have a real job, not simply a passport. (2) That he or she has presented credentials to that posting, and been recognized there. (3) That the individual was entering Canada for a specific, relevant diplomatic purpose, and that this purpose is consistent with normal diplomatic activities. 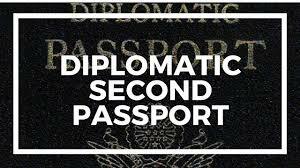 Additionally, Since foreign nationals, as diplomats of another country are acceptable only under unusual circumstances, unless the "Dominican diplomat" was of Canadian origin, and being posted to Canada, do not expect immigration authorities to accept bogus reasons for nationals of other countries, carrying a Dominican (or other East Caribbean nations) diplomatic passport to be accepted as a bona fide diplomat on assignment to Canada. They have no legal excuse for being in Canada as diplomats. Therefore, the genuine Dominican diplomats, posted to Canada, are to be freely admitted, without delay. The "unassigned" holders of diplomatic passports, will NOT be allowed into Canada. This should discourage the Iranian, Russian, Chinese, Venezuelan, Cuban, and the other usual suspects, who paid well, to play diplomat, evade Customs, and commit various and sundry White Collar crimes. A court in Spain's Canary Islands has set an obscenely high bond, for three "material witnesses," who have been illegally held for 20 months, in a bogus money laundering investigation filed for purely political and mercenary reasons, in a scandal that has exposed major flaws in Spain's criminal justice system. Vladimir Kokorev, a dual Russian-Spanish citizen, his wife & son, have been in custody, as witnesses, in a case where criminal charges have never been filed. Spain's adherence to the Rule of Law has been called into question, and this case has been raised in the European Court of Human Rights, as a major violation. Ismael Gerli, a Panama attorney who perjured himself when he gave false testimony against Mr. Kokorev, is the sole witness against him, but Gerli is himself under criminal forgery charges in his native Panama, after he reportedly stole real estate from the Kokorevs, after their extradition to Spain, as Material Witnesses. He has been completely discredited, and cannot leave Panama, to testify at any future trial in Spain. 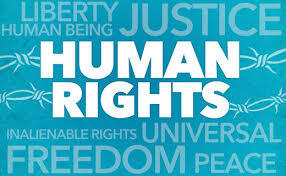 How can the Spanish prosecutor justify this massive human rights violation ? Bond has been set at €2m each, knowing that the Kokorevs cannot pay such an immense amount; they are listed as Material Witnesses, and have not been charged, either in this case, or any others. The bail conditions also require that they surrender their passports, and they are prohibited from leaving Spain. Bail was set at a prohibitive amount intentionally, according to observers familiar with Equatorial Guinea, whose petroleum reserves have long been coveted by Spanish business interests, and they are seeking Kokorev's testimony, against Guinean leaders, to replace them with others, favoring Spain. If the Kokorevs had been convicted of money laundering, they would have already served the required 1/3 of the maximum sentence for that crime, and been provisionally released. Clearly, Spanish prosecutors are following the instructions of Spanish business interests not the Rule of Law. Nobody has been charged, the "witnesses" human rights have been totally violated, and the judges presiding over this case should be dismissed, and arrested. With all the hoopla surrounding the money laundering charges being thrown around, in the matter of the Editorial Panama America SA (Epasa) scandal, nobody seems to want to discuss the 300 pound elephant in the room: the thrice-convicted Colombian Pyramid & Ponzi schemer, David Eduardo Helmut Murcia Guzmán, and his prominent role in the purchase. Panama's fugitive ex-president, Ricardo Martinelli, and his close associate, Gabriel "Gabby" Btesh, were the buyers; both Martinelli & Beesh used the newspaper to smear anyone in Panama that they had differences with, or regarded as political or economic rivals. Btesh fled to Israel, where he cannot be extradited to Panama, to face justice for his corruption, and criminal activities. Agents involved in the illegal electronic and video surveillance of over 150 prominent Panamanians, and US officials working in the American Embassy, worked out of a building that Btesh owns. A substantial amount of the money used to buy Panama America came from Murcia; the balance reportedly was stolen from various Panamanian governmental agency accounts. 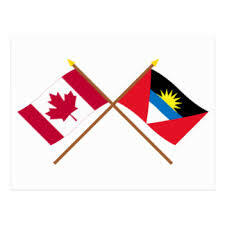 A government announcement from Antigua today advised that, effective 0530 local time tomorrow, July 27, Antiguans wishing to visit Canada must first obtain a visa. Although Antigua has instituted a number of reforms and upgrades to its Citizenship by Investment (CBI) program, risk factors for the region's other CBI programs, as a whole, have increased, which may be the reason for this new visa requirement, or de-risking programs instituted by North American financial institutions. 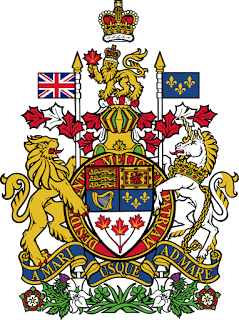 Canadian consultants familiar with the country's negative experiences with CBI passports holders from St Kitts & Nevis, and the Commonwealth of Dominica, may be responsible for the new visa rule, and not any problems or issues involving Antigua. Dominica in particular has been a source of trouble for Canada, specifically Iranians holding Dominican CBI, and/or diplomatic, passports and citizenship*. A number of these individuals have been deported; others are presently being held, in custody, by Canadian immigration authorities. 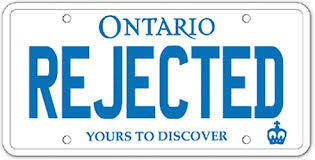 Readers who wish further information, from an official source, may obtain it from Canada Immigration News. 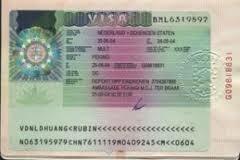 The Canada Immigration Newsletter, Canada Enforces Visa Requirement on Citizens of Antigua & Barbuda here. * More details can be found elsewhere on this blog. According to a report filed today, a traveler, with a passport from Dominica, arriving in London last Friday, in transit to the EU, was detained by UK Border Force, questioned at length, and had his bags and computer searched. He was reportedly told that he was traveling from "a high risk country." This incident confirms that many Western nations are regarding individuals holding passport from Dominica, where foreign nationals may freely obtain Citizenship by Investment (CBI) passports, or even diplomatic passports, are being closely examined. 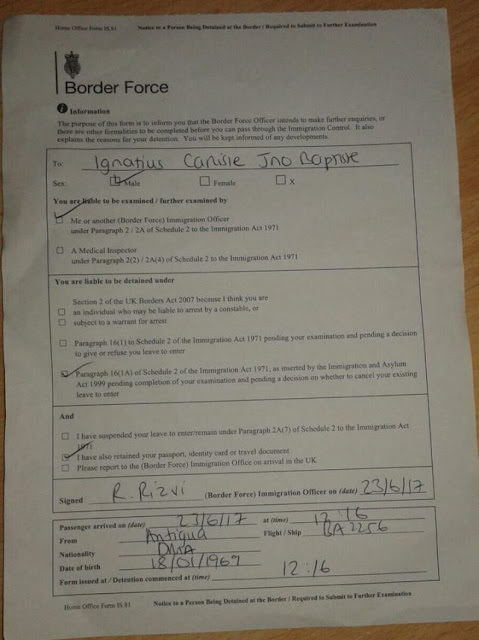 Note that the traveler was only in transit, and not intending to enter the UK, but was still subject to detention, search & questioning at length, indicating the validity of his passport was one of the issues confronting the UK Border Force officers who detained him. We have been predicting, for some time, that ordinary Dominican citizens would soon find themselves the subject of unwanted attention, at immigration checkpoints abroad, due to the publicity surrounding the possession of Dominicans passports, by career criminals, international sanctions evaders, and organized crime members. It appears that our concerns were justified. IS DOMINICA HAWKING ILLEGAL DIPLOMATIC PASSPORTS BECAUSE ITS CBI PASSPORTS HAVE SUBSTANTIALLY LESS VALUE THAN OTHERS ? While most Caribbean commentators have focused upon the fact that corrupt senior government officials in Dominica are illegally selling their diplomatic passports for big bucks (foreigners not authorized by the Geneva Convention of 1961), there is also another another major reason: "ordinary" Dominican Citizenship by Investment (CBI) passports are valued at a much lower rate than those of the competition, Antigua & Barbuda, and St Kitts & Nevis. It is possible that agents are steering prospective clients away from considering Dominica, in favor of other jurisdictions offering the same product, forcing Dominica to push diplomatic passports, to snare the customer. One of the leading international agent firms, which attracts CBI prospects on a global basis, and which calculates the value of passports, based upon a number of factors, including how many countries a certain country's passport will get you into, visa-free, lists Dominica as substantially less desirable than both Antigua and St Kitts; It is down on the list near Serbia, if you need a point of reference. You have to believe that they are pushing clients towards SKN and A & B, rather than Dmonica. Remember, Alireza Monfared ALSO had a CBI Dominica passport, in addition to the diplomatic one. 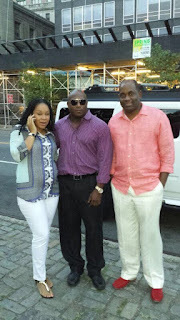 he probably found out, the hard way, that a Dominica CBI passport was not as valuable as he had been led to believe. Therefore, we ask again, to the Minister of Foreign Affairs: Who are the holders of the 425+ diplomatic passports issued by your office ? Dominica only has a small number of authentic diplomats. How many Iranians, Russians, Chinese, Venezuelans, and Cubans have one ? ARE YOU BANKING ANY NGOs USED BY TERRORISTS ? 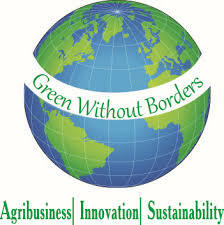 A loose confederation of environmental groups, principally those who advocate extensive planting of trees, to improve denuded areas, use the title "Green Without Borders." This non-governmental organization appears to have been co-opted by the designated terrorist organization, Hezbollah, which has placed observation towers within the Lebanese-Israeli frontier zone restricted to UN peacekeepers, and marked them with the NGOs logo and name. Obviously, Hezbollah wants to use any future, wartime destruction of these towers for propaganda purposes. 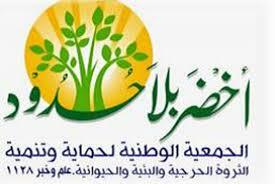 They have conveniently promoted this NGO in Lebanon as a peaceful entity, dedicated to tree restoration in denuded areas of the country. Terrorists, as well as criminal elements, have been known to unilaterally adopt the identities of NGOs, which are powerless to prevent or suppress such actions, and abuse those non-profit entities, for an illicit purpose. This action serves as a warning to compliance officers to always thoroughly check out the activities of any and all NGO bank clients, especially if they happen to be located, or operate in, high-risk areas or regions, lest you find out one day that your customer's good reputation is being used for a dark purpose. The Department of Immigration, Citizenship and Refugees Canada has deported to Dominica a number of Iranian nationals, all holding CBI passports from that country; it has also deported additional Iranians, present in Canada, and in possession of CBI passports from other East Caribbean countries, back to the countries that issued their passports. Other Iranians remain in custody in Canada, also with CBI passports, due to the fact that they were to be deported directly to Iran, and then alleged that they will be subject to political persecution, and possible imprisonment, if returned to their native country. In truth and in fact, several Iranians, under arrest and detention in Canada, face imminent execution if repatriated, since they committed major fraud, and grand theft, in Iran, and are simply criminals, seeking to relocate, and evade justice. How did these individuals obtain CBI citizenship, in Dominica, and elsewhere, given that they were known to be career criminals ? 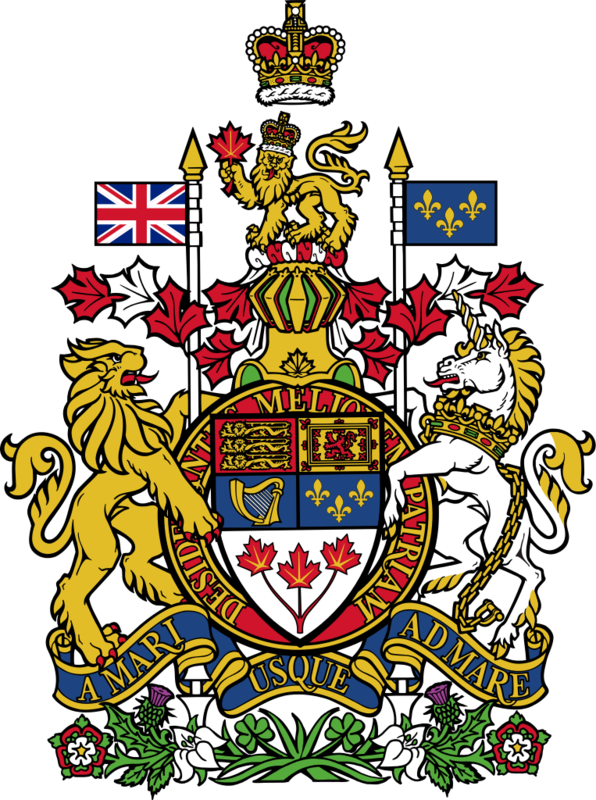 According to the CBC, the Royal Canadian Mounted Police (RCMP) is conducting a criminal investigation of several international companies that are agents for East Caribbean government entities CBI passports, which are then used to enter Canada. These are the same firms that are prominent in delivering clients to Dominica and St Kitts & Nevis, and who also were involved in vetting their applicants, who turned out to be fraudsters & thieves. Were their criminal backgrounds overlooked, due to the lucrative nature of the CBI business ? Ana Matilde Gómez, the former Attorney General of Panama has implicated the country's president, Juan Carlos Varela, accusing him of participating in multiple illegal acts, while acting as Vice President, between 2009 and 2014. The ex-Attorney General also named the president of the Supreme Court of Justice of Panama, José Ayú Prado, for corrupt acts he allegedly committed, during the period when he was the lead prosecutor in charge of the organized crime division. Many Panamanians, and North American expats, have voiced their opinion, that President Varela does not want ex-president Ricardo Martinelli to be extradited to Panama, to face justice in the pending cases against him, because Martinelli will then name many current government officials, including Varela, for their involvement in corruption, and other illegal activity. 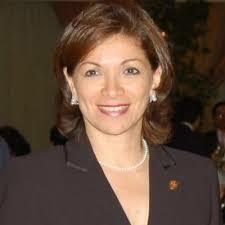 Ms. Gómez reportedly made these accusations on a local television program, in Panama City. The efforts of counsel for Ricardo Martinelli, the fugitive ex-president of the Republic of Panama, to obtain bond yesterday, during his pending extradition proceedings, were thwarted when the Court declined to immediately rule on his bond request. A motion to dismiss the extradition was similarly deferred, though the judge indicated that there would be a ruling next week. Martinelli faces massive corruption and illegal surveillance charges in his native Panama, which is abuzz with rumors that he is either cooperating with US law enforcement, or intends to cooperate, something which could implicate the country's current president, Juan Carlos Varela, several members of his cabinet, and a number of judges on the Supreme Court of Justice. 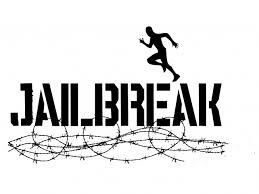 Bond is rarely given during extradition proceedings, due to the risk of flight. Martinelli's reported wealth, due to corruption, is not known, but has been estimated to be in the hundreds of millions of dollars. Martinelli was reportedly taken into custody at a waterfront mansion he allegedly purchased for $8m cash, since he relocated to Miami, ahead of the filing of criminal charges in Panama. He has at least thirteen separate criminal cases filed against him there; One source claims that there are over two hundred independent investigations of criminal conduct pending at this time. If you read my recent article, Evidence Confirms that Caribbean News Website is cooperating with Dominica's Labour Party and Prime Minister, which showed that a supposedly objective news website has disturbing ties to the corrupt Dominica Labour Party, and Prime Minister Roosevelt Skerrit, gving rise to allegations of news management, and disinformation, read on. WIC news, and Caribbean CBI firms, CS Global & Henley, have all had their Internet filings registered by the same company, raising the presumption that this may be little more than a forum to spread pro-CBI agent propaganda for Dominica, paid for by the companies (agents) that receive outrageously high commissions for steering wealthy foreign nationals, from high-risk countries to a CBI citizenship. This is yet another reason to steer clear of the stories being promoted, as there is a definite agenda from the content. Here is the reported filing information for this new company, which appeared out of nowhere, under suspicious circumstances: WIC News, Ltd., registered on February 21, 2017 . The company's address, Kemp House, City Road, London EC11V 2NX, means that has no brick-and-mortar location. It is a virtual company, staffed by only individual, Benjamin James Parker, British citizen, age 27, free-lance journalist & travel writer, and with no permanent fixed UK office location, or land-line. How is it that a brand-new internet news service, specializing in the Caribbean, has no advertising ? How are the site's bills being paid ? Is it Anthony Astaphan, who is said to be the source of all the slanted Dominica content ? The District Judge has entered a Protective Order, in the Reza Zarrab case, directed to the defense attorneys representing the Turkish banker, Mehmet Atilla, which restricts them, and their staff, from disclosing sensitive information, contained tin Discovery which will be routinely furnished to defense counsel. 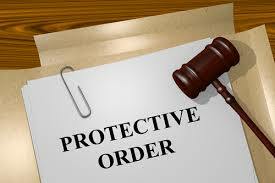 The started purpose of the order is to prevent information about pending investigations of other potential defendants, and there may be confidential informants, or undercover law enforcement agents in the field, that the Government must protect from exposure, and possible physical harm. Probable additional defendants could be Iranians and Malaysians who worked in the criminal oil-for-gold enterprise, lead by Zarrab, Alireza Monfared, and Babak Zanjani. Others could be the operators of the Dominica CBI and diplomatic passport programs, which sold citizenship to Iranians, and others, in Zarrab's organization. Still others could be bankers who assisted the group in obtaining dollars from US banks, and moving the money abroad, and they may not all be Turkish nationals. Inasmuch as Atilla's attorneys have frankly advised the Court that they most likely will not be ready for a Fall 2017 trial, the addition of more defendants is probable. This is the biggest Iran sanctions evasions case currently pending in Federal Court, from my research, and the Department of Justice is pursuing it diligently. Whose else will be named ? 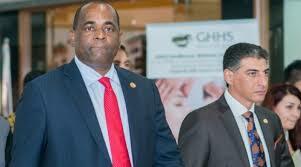 While we have previously reported on the engagement of an American public relations firm, by the Dominica Labour Party, and its Prime Minister, Roosevelt Skerrit, to respond to the news about the country's deteriorating democracy, we did not know that the present Dominican government would stoop to sponsoring a supposedly objective Caribbean news website, to publish pro-regime propaganda; We call that news management. 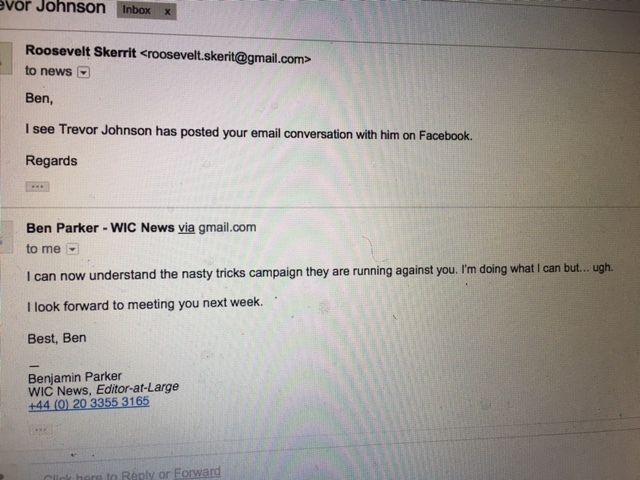 If you look closely at the email at the top of this article, you see what appears to be a dialogue between PM Roosevelt Skerrit, and Benjamin Parker, who lists his title as Editor-at-Large of WIC News, which you will recognize as a newly-arrived news website, specializing in the Caribbean. Using an email address deceptively similar to that of the PM, a letter sent by "Skerrit" confirmed that there is an incestuous, unethical, and probably commercial, relationship, between WIC and the Skerrit/Labour/Astaphan organization, the object of which is to publish slanted, not objective news. The context of the exchange involved a "shoot-the-messenger" article, about a Dominican who opposes the actions of the present Skerrit administration, especially the purchase of votes, at election time. 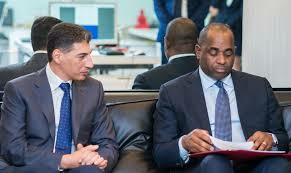 (1) All the articles published about Dominica are unabashedly pro-Skerrit and pro-Labour. (2) Anything on the site, about the Opposition, is universally negative. (3) A long-winded legal discourse, written by Skerrit attorney and resident Mad Monk Rasputin, Anthony Astaphan, including endless references to legal citations, was published on the site, without stating that it was an editorial, or opinion piece. Is this checkbook journalism ? If not, why is Editor Parker shilling on behalf of Skerrit ? Any compliance officers who are reading WIC News, seeking objective information, are advised to look elsewhere, for you will only find propaganda on that so-called "news" site*. *A word to the wise over in St Kitts & Nevis; someone in Bassetere might want to take a close look at the articles about your country: Is there a hidden agenda in that content ? Francisco Illarramendi, the convicted Venezuelan Ponzi schemer, who operated two unlicensed hedge funds in Connecticut, and who is presently serving thirteen years for his crimes, was ordered to pay $26.8m, in a civil case brought by the Securities & Exchange Commission in Federal District Court. Illarramendi, who entered a guilty plea in his criminal case but appealed his sentence to the Second Circuit, had his judgment and sentence affirmed by the appellate court in February. A restitution order, in the amount of $370m, was entered in the criminal case, by the trial judge. Illarramendi defrauded the pension find of PDVSA, the Venezuelan Government petroleum agency, and he was found to have paid bribes to an agency official in charge of pensions. Back in 1983, when the Honourable William Herbert, the Foreign Minister of a newly-independent St Christopher & Nevis, created the first Citizenship by Investment program in the East Caribbean, he may not have been fully aware of all the ramifications of the naturalization of foreign individuals in the Commonwealth of Nations. St Kitts, Dominica, and indeed, all the half dozen EC democracies that have enacted CBI legislation, to create additional income for their developing ecomonies, neglected to examine, in detail, all possible negative outcomes that their CBI programs might spawn. Sometimes, legislators, with good intentions, create something never anticipated nor wanted. We call it the Law of Unintended Consequences. 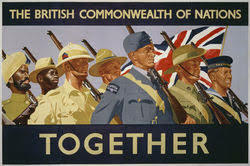 In the case of CBI programs in East Caribbean, it is the simple fact that, pursuant to the British Nationality Act of 1981, citizens of Commonwealth countries have, not only the right to register and vote in all UK elections, they can stand, as a candidate as a Member of parliament, to the House of commons, and ultimately, be appointed a minister of government, or even Prime Minister. They also have an absolute right to sit in the House of Commons if a qualified Bishop of the Church of England (Anglican Church). Here is the nightmare scenario: a well-known Russian organized crime figure, armed with a CBI citizenship from the Commonwealth of Dominica, obtained through a corrupt method, namely payment of an obscene sum to a senior government official in Roseau, stands for the House of Commons. he already owns a significant amount of London real estate, and now he wants political power. Perhaps the next time a national government decides to enrich itself, through a CBI program, its officials might want to consult a competent immigration law firm. Though not being reported by global media, the Panama Papers disclosures have had a major effect in Japan. A number of major Japanese corporations were identified, and linked to more than 200 shell companies formed by the law firm of Mossack and Fonseca. The outstanding tax bill owed has been estimated at ¥1bn (USD $ 9m), but it has been stressed that this is only a preliminary calculation; the final tax bill may be substantially more than this. Most of the companies identified were incorporated in the British Virgin Islands, and Guernsey, in the Channel Islands. A state court judge in Hackensack, New Jersey allowed an alleged drug trafficker to be released, on only a summons to appear, after law enforcement found $315,000, hidden within his vehicle. 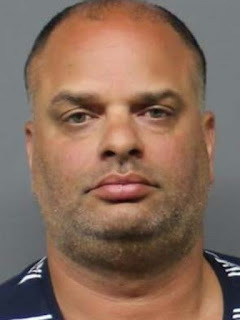 Gerald Flores was charged with a money laundering offense, and though he was not a New Jersey resident, he was not placed into pretrial detention. what's wrong with this picture ? When the courts recognize that money launderers represent a clear and present danger to the community, and that, if released, they will be continuing their crimes while on release, those individuals will not be allowed to bond out, or be released, prior to trial. They also have a risk of flight, due to the fact that they have ready access to large amounts of cash, which is the other yardstick through which we measure the risks involved in deciding whether to release an arrested individual. If this individual is later arrested, again involved in criminal activity, while on release, we wonder what the ramifications will be for the judge who improperly released him. This is one of those details that Dominica conveniently forgot to consider; when selling their national patrimony. If a CBI-enabled citizen of Dominica is later found to be a criminal, he or she cannot lose their citizenship. Remember, it is an "economic citizenship" program, NOT a passport sales scheme. Unless the applicant is guilty of fraud or concealment, in his original CBI application, Dominica has no power to denaturalize him. This means that the baker's dozen of known criminals, many of them since arrested, and in law enforcement custody, are still Dominicans, regarding their nationality, because their citizenship remains intact, no mater how heinous their post-CBI sins and transgressions were. Obviously, the attorneys advising the Government of Dominica, when the CBI program was initiated, and when they permitted dodgy foreign individuals, who were receiving diplomatic passports, to also obtain CBI passports, were professionally negligent. 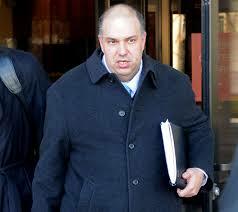 CBI attorney Anthony Astaphan; does he have malpractice insurance ? The consequences of awarding Dominican CBI citizenship should have been fully disclosed to the officials operating the program, as well as the Prime Minister, and the Dominica House of Assembly, who paid the attorneys' fees. Whether the actions of CBI attorney Anthony Astaphan, and his associates, constitute malpractice, is a matter for the courts, and/or his malpractice insurance carrier, and are outside the scope of this article, but should be investigated by an independent body or agency, from outside Dominica. Someone surely needs to pay for this negligence. 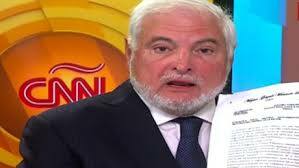 WAS RICARDO MARTINELLI THE OBJECT OF A FAILED ATTEMPT TO BREACH FEDERAL SECURITY IN MIAMI ? Regular readers of this blog will recall our recent story, regarding the fact that the fugitive former Panamanian President Ricardo Martinelli had acquired a hideaway in the Dominican Republic, and that he intended to decamp from his Miami digs, and relocate, ahead of the existing extradition warrant from Panama. One of our sources tells us that, after his arrest, Martinelli was regarded as a potential escape risk, because of the Dom Rep matter, and is being treated as such while in custody. Now, something even more unusual, even for Miami. Three men, posing as law enforcement agents, but holding flawed identification, were arrested this week, after they attempted to enter the restricted Federal complex, in Downtown Miami. That section contains Federal Courthouses, the Federal Detention Center (the pretrial jail), and the US Attorney's Office. What is interesting is that the individuals attempted to enter the complex in an automobile.Were they thinking of taking anyone with them, who was a guest of the US Government ? Were these three men on an operation to spring Ricardo Martinelli from Federal custody ? or were they an assassination squad, sent by nervous Panamanians, fearful that their former president might implicate them in some of his illegal activities, when he is extradited to Panama City, to face justice ? We cannot say whether either of these scenarios will turn out to be true, but it is interesting to note that US law enforcement has declined to reveal the names of the three who were arrested. Either these men were part of a larger conspiracy, or the disclosure of their identities may give us an indication of what specifically they were doing, and for whom. 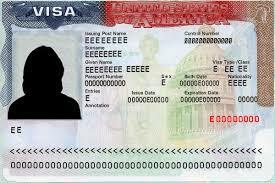 SHOULD THE US & UK IMPOSE VISA RESTRICTIONS ON DOMINICA PASSPORT HOLDERS ? It has been proposed, by parties who are fully informed about the clear and present danger of money laundering posed by Iranian, Russian and Chinese criminals, holding valid Dominican diplomatic and CBI passports, that the United Kingdom and the United State should impose universal visa restrictions, upon all Dominican passports, including those of non-Dominicans who hold diplomatic passports. (1) Conduct adequate enhanced due diligence, upon the background and current status, of foreign nationals who have purchased Dominican passports. (2) See, face-to-face, the individual involved, so that they may be examined, in depth, about their background, types of business activities that they are engaged in, and plans regarding access to Dominica's financial system. This would be required to be held at the US Embassy in Barbados, meaning that the appearance of foreign nationals, who are now Dominicans, must appear there, and not in their home countries, but must travel there from Asia or Africa. (3) Ask the tough questions, about the applicant's extended family, associates, and individuals closely linked to him or her. This is extremely important. to determine whether the applicant is a Politically Exposed Person, or PEP, meaning that he or she possibly has access to government funds, could be receiving bribes or kickbacks from suppliers or vendors, or has other corruption-derived income. Finally, how about the countries that are signatories to the Schengen Agreement, imposing visa requirements as well ? That might be the proverbial straw to break the camel's back, and force Dominicans to vote out the current, and eminently corrupt, government. If your bank is engaged in any pending transactions with Cuba, Cuban companies or entities, this year, or some client-Cuba transactions are expected, be advised that President Donald Trump will reimpose a number of financial restrictions and sanctions tomorrow, Friday, June 16, 2017. NOTE: The effective date has not been announced; nevertheless, you will want to monitor the situation, especially if your clients are doing business in Cuba. A word to the wise. As a young associate. at a Miami law firm, in the early 1970s, I well remember receiving a call from a lawyer, who identified himself as working with "The Watergate." he was seeking information on customer accounts at what was then Republic National Bank of Miami, a client of the firm. 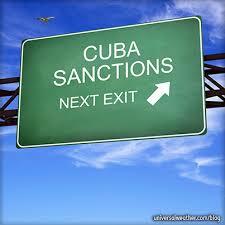 The bank's clients included many Cuban-Americans. Apparently, when arrested, the Watergate burglars had, in their possession, crisp US $100 bills that were traced back to the bank, and further investigation turned up checks, from Mexico, that were deposited in Bernard Barker's account at the bank ; The rest is history. I was in Washington when President Nixon resigned, on my way to my sister's wedding, and I well remember that day. I also remember the crude attempt to launder money through the bank. Now, reports from the most well-respected US print media are alleging that the Special Counsel's Office is investigating possible money laundering, on the part of certain associates of President Trump. The focus is upon whether any Trump associates received any funds from Russian sources, for "services rendered," and whether they may have then moved those illicit funds through offshore financial centers, to conceal such payoffs. If you are a compliance officer at a US financial institution, and your client base includes any individuals, or corporate entities, that might possibly be linked to those associates, their families, or companies, it would be prudent to be alert for any suspicious transactions. Otherwise, you might just be the individual, a year or two hence, on the receiving end of such as telephone call; history repeating itself. 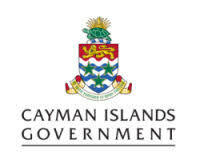 Readers who wish to review the Executive Summary, recently released, of the Cayman Islands 2015 National Risk Assessment Relating to Money Laundering, Terrorism Financing, and Proliferation Financing, may access the complete text here. Edison Teano, a senior executive at the Panama law firm of Mossack and Fonseca has been released on bond; he had been in custody since he and the name partners, Jurgen Mossack & Ramón Fonseca Mora, who have previously bonded out, were arrested, due to the ongoing money laundering investigation initiated after the release of the Panama Papers. 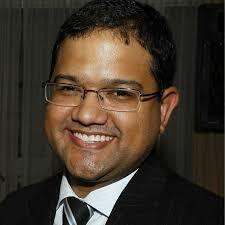 Teano is believed to be a partner in the firm. Teano's bond was originally set at $79k, but the organized crime prosecutor's office appealed. The appellate court ruled that bond was appropriate, but increased it to $300,000. 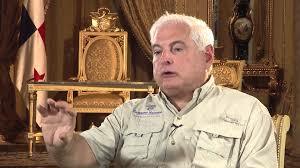 Ricardo Martinelli, the former president of the Republic of Panama, who is a fugitive from justice in his native country, was taken into custody yesterday (June 13, 2017) by representatives of the US Marshal's Service, based upon an extradition warrant issued in September 2016. Martinelli has been living in the Miami area since January, 2015, and many had questioned why the United States had not detained him earlier, through the former president's attorneys in Panama had asserted that the extradition documents were legally insufficient. Rumors, to the effect that he was under the protection of an unnamed US law enforcement agency, have never been verified. Martinelli faces over a dozen criminal charges in Panama, ranging from looting government funds, to conducting illegal electronic surveillance of its citizens, to receiving bribes and kickbacks in the Odebrecht construction scandal. Martinelli's two sons are also wanted, in connection with Odebrecht, and allegedly received $22m in bribes, on behalf of their father. The President of the Republic of Panama, Juan Carlos Varela, announced yesterday that his country has extended diplomatic recognition to the Peoples' Republic of China, more commonly known in the West as Communist China, or the PRC, and has therefore withdrawn recognition of the Republic of China, Taiwan. It is mot known what financial incentives have been promised, or provided, to Panama, to facilitate this governmental act, which is occurring almost seventy years after the Republic of China was replaced by the PRC, on the Chinese mainland. 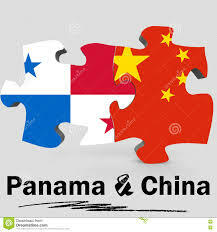 (1) The half-dozen Chinese banks operating in Panama are engaged in major money laundering activities, according to insiders in the Panama City banking community, and the addition of a PRC embassy, which will provide important consular services to Chinese "businessmen" seeking the legalization, of Panamanian corporations with bearer shares, or Panamanian foundations. (2) The use of Panama's dodgy law firms, who provide turnkey services to wealthy Chinese, including the guaranteed opening of bank accounts, will be facilitated, as official translations Spanish-English-Chinese will now be readily available to them at the embassy, and staff can even recommend the specific law firms that practice willful blindness, when dealing with clients who are high risk. (3) Corrupt Chinese PEPs will now have more direct access to Panama's don't-ask-don't-tell corporate service providers; powerful senior Chinese officials could even delegate corporation formation to embassy staff. They can now avoid engaging corporate services firms in China, and deal direct. Remember, right after the Panama Papers scandal broke, Mossack and Fonseca sent a written apology, to a major Shanghai bank, for the exposure of some of their most valued clients. MFs Chinese business accounted for a major portion of its global income, and it maintained several offices inside China. Taiwan not only gave Panama a jet airliner, but a large amount of foreign aid in the past, all of which seems to have been quickly forgotten, in the glow of what must have been major PRC promises of financial compensation. Will we see even more Chinese banks with a brick-and-mortar physical branch in Panama City ? We cannot say, but you can expect increased laundering, of bribe & kickback money, by bloated and corrupt Chinese PEPs, all seeking to evade taxes, or exposure and arrest, in China. You will also see transfers, from Chinese banks, to branches of European, or even North American, banks, all of which is sufficient grounds to raise Country Risk on the Republic of Panama immediately. 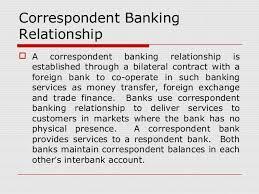 If you read my recent article, Here is the Solution to your KYCC/Correspondent Banking Conundrum* (March 2, 2017), you know that many Caribbean financial institutions have lost their American correspondent relationships, due to what the media refers to as "de-risking," forcing them to seek alternative arrangement in Europe, which has resulted in increased transaction costs, as high as 300%. Banks in other regions of the developing world are also reporting that their US banking relationships have been terminated, and everyone is looking for a solution that is not prohibitively expensive for clients. Using a European bank, or non-bank financial institution to route US transactions, can result in serious delays, which may cause clients to move their business to the competition. Fortunately, there is a solution. A very limited number of American banks, which use a Know Your Customer's Customer (KYCC) system, offer those Caribbean banks, who have recently lost all their US bank correspondents, a new relationship, to replace those which have been terminated. Any reader that wants further information about those banks can email me at miamicompliance@gmail.com or inquire direct at info@grada.io . I realize that the loss of a correspondent banking relationship is a sensitive issue, and all inquiries will be held in confidence. WHO WILL INVESTIGATE $40m SPENT TO FIX 2009 & 2014 ELECTIONS IN DOMINICA ? According to several local sources, the Dominican Labour Party spent over USD $20m, twice, to insure that it would have bought sufficient voters in Dominica, to prevail during national elections. Both in 2009, and 2014, were these funds expended, though the source of this money remains a mystery. (1) Expats were flown in, from overseas, purely to vote and return home. Two airliners were chartered, at the cost of approximately $400,000. 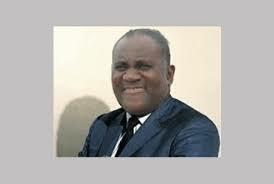 (2) Local voters received outright cash bribes, to vote DLP. 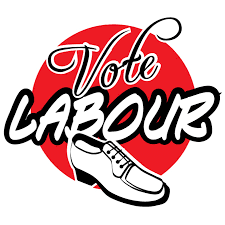 (3) Substantial deposits were made, at local shops and stores; voters were informed that they could make purchases at these retail outlets, without paying for them, as the Labour Party was picking up the tab. (4) Promises of additional cash payments were made, as additional inducements to attend Labour events, and neither attend those of rival political parties, nor any rallies or demonstrations conducted by rivals. With the next national election expected to be called in the near future, it is expected that the same corrupt cash-based election techniques will be employed, but to date no international agency, or investigative body, has seen fit to inquire into the source of funds, used during the two previous elections, to reelect the incumbent party. Surely, Labour Party records. and the testimony of its officers, should be audited by an independent third party, to reach the truth. Where did all this money come from ? Illegal Dominican diplomatic passport proceeds ? CBI receipts ? Russian, Chinese or Iranian government sources ? Who can answer this question ? IS LEBANON HEADED TOWARDS YET ANOTHER DESTRUCTIVE WAR ? 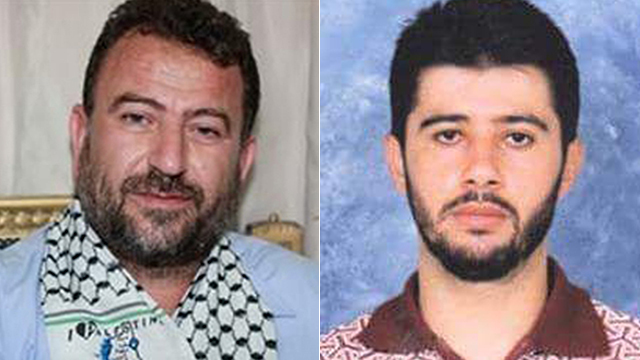 The latest bad news from Beirut is the fact that three senior Hamas officials have relocated to the Lebanese Republic. Hamas, a globally sanctioned Palestinian terrorist organization, now joins Hezbollah, and a number of smaller radical Islamist terrorist organizations with headquarters in Lebanon. 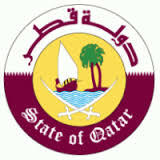 These officials, who were banned in Turkey, and in Qatar, are in charge of individuals committing terrorist acts inside Israel, and there is no indication that they will cease their operations, which target unarmed civilians, and commit unspeakable actions, all of which qualify as war crimes under the Geneva Convention. Do not expect them to stand down. If you know your Middle East history, you know that it was Israel's response to Palestinian terrorist attacks that resulted in an Israeli invasion of southern Lebanon, to create a Security Zone, north of the frontier. Any increase in Hamas attacks within Israel could very well prompt a powerful Israeli counterattack inside Lebanon, which would most certainly provoke a Hezbollah response, leading to a possible regional conflict. 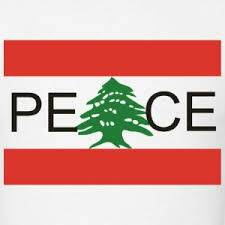 Senior government officials have previously gone on record with dire warnings regarding a threat against Lebanese infrastructure, should yet another armed conflict occur. Should Hamas succeed in triggering a perfect storm of war, between terrorist organizations, and Israel, Lebanon's Beirut banking center would certainly sustain major damage, thus disabling the country's most significant industry. Since civilian casualties, even among its own people, are considered a necessary evil by Hamas, a dogmatic, hard-line radical Islamic organization, so long as it achieve its goals, there's nothing to inhibit Hamas from embroiling Lebanon in the next war, with an Israel now bent on destroying any enemy who initiates hostilities. That could be the death knell for Lebanon's thriving downtown Beirut banking center; Lebanese bankers should pray for peace; otherwise, they may not have a bank to do business in, come 2018.
WHO ARE THE OTHER IRANIAN SANCTIONS EVADERS HOLDING DIPLOMATIC PASSPORTS FROM DOMINICA ? Arrested US Iran oil sanctions evader, Alireza Monfared*, was not the only Iranian fugitive, armed with a Dominican diplomatic passport, who was evading international justice in Dominica. Local sources, with first-hand knowledge, have confirmed that, not only did Monfared have a confederate ( who was NOT a relative) living in Dominica, they posses a photograph. We wonder why the Government of Dominica never disclosed his identity, when the scandal over Dominica's refusal to hand over Monfared to INTERPOL agents sent to arrest him. (1) Iranian sanctions evaders, all passport-equipped Dominican "diplomats" running around the globe, laundering oil profits, and converting them into US Dollars. (2) Russian nationals, some of them unquestionably organized crime leaders, with Dominican diplomatic passports. Why did Dominica's Prime Minister attend that Russia conference, anyway ? (3) Chinese, from the Peoples' Republic, with Dominican diplomatic passports, illegally purchased, who can now interact with the staff at the unusually large Chinese Embassy in Dominica, performing probable intelligence duties, intentionally ignored by Dominica's government. Remember, Dominica recently courted Chinese for the CBI program, at a conference in the Peoples' Republic. These bad actors pose a clear and present danger to Dominica, due to the power of their illicit wealth, hidden agendas, and ability to direct senior government officials to ignore the rule of law. 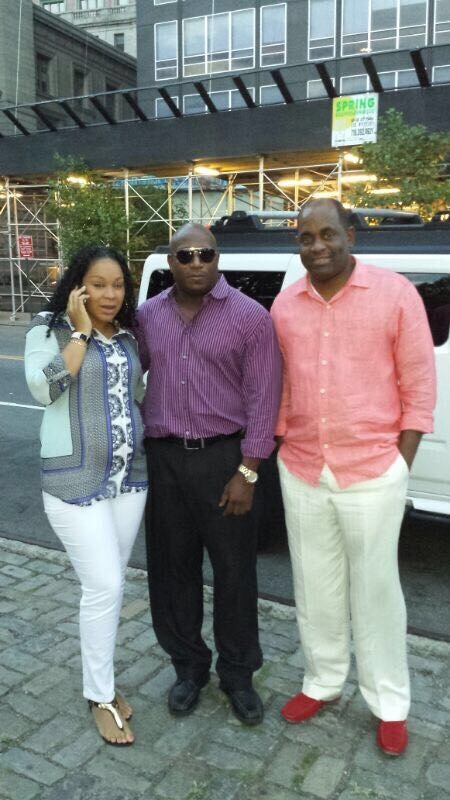 Taken as a whole, they are driving Dominica into high risk status, to the world financial community. How high will Country Risk ultimately be elevated, due to these dangerous elements ? * Iranian law enforcement and its criminal court system is reportedly holding Monfared in maximum security custody; it has been stated tat he will be making his first court appearance shortly. He faces a probable death sentence, given what the court previously imposed upon his partner in the Iran oil-for-gold theft case, Babak Zanjani. WILL REZA ZARRAB'S TRIAL BE MOVED TO 2018 ? 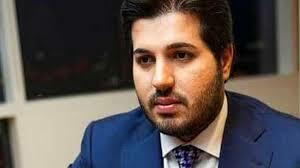 The attorneys for Mehmet Hakan Atilla, the Turkish banker who is Iran sanctions evader Reza Zarrab's co-defendant, has indicated that he will probably not be ready for trial in October, and this means a 2018 trial date, and at least two years in pre-trial confinement for Zarrab. Will this additional delay nudge him towards a plea, resulting in his implicating additional defendants ? (1) They are only in the early stages of reviewing "hundreds of thousands of emails and thousands of recorded conversations." (2) "Most of the Discovery that we have received so far is in languages other than English, "meaning that translations are required, before analysis can be conducted. (3) "I anticipate that we will be requesting additional information from the Government, as we prepare for trial." (4) "... it is clear that many of the transactions, and [the defendant's] conduct occurred in Turkey, " meaning that there will be MLAT applications, which are requests for foreign discovery, which is often time consuming and requiring many months "to schedule or resolve." It sounds ominously like the defense attorneys for Atilla are planning on seeking a continuance of the trial date. Whether Zarrab will willingly endure such an extended period of uncertainty is not known; if he does capitulate, and enter a plea, then certain senior government officials in Dominica, and the Iranians* and Malaysians who were a part of Zarrab's oil-for-gold & dollars organization, could all be indicted, as the result of Substantial Assistance on the part of Zarrab. It is, short of turning over billions of dollars that he probably no longer has access to, his only method of securing a reduced sentence. Counsel will again advise the Court, on August 1, 2017, of their trial readiness situation. 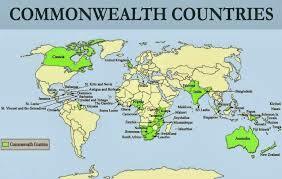 SHOULD THE UNITED STATES INVOKE THE MONROE DOCTRINE IN DOMINICA ? 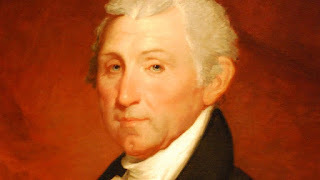 In 1823, the American President, James Monroe, promulgated a national policy which has served the region well for almost 200 years. He stated that no foreign power or nation would be allowed to enter into, and take over, any of the republics of the Western Hemisphere, nor could they install a puppet ruler. While intended to warn the great powers of 19th century Europe away from the developing countries of Latin America and the Caribbean, it has been official American policy since it was announced, and it has been implemented repeatedly, to warn foreign nations away from unduly influencing, or actually occupying, the countries of the region, which is America's backyard, in within its benevolent sphere of influence. The Commonwealth of Dominica has, of late, been greatly influenced by a number of non-democratic foreign powers, including but not limited to, the Peoples' Republic of China, Russia, and Iran, as well as their own client, and also non-democratic, states, the Republic of Cuba, and the Bolivarian Republic of Venezuela, who have brought their own brand of financial crime, and corruption, into Dominica, with serious consequences. Since American power need not be military in nature (e.g. Grenada and Panama), an alternative means of insuring that democracy, free of foreign influence and funding, be restored, should be the order of the day. Given that another national election is approaching in Dominica, and the votes cast in two previous elections were bought and paid for by the Dominican Labour Party, with laundered criminal proceeds, logic would suggest that the next election should be conducted under United States Government auspices, meaning free and fair elections. This means not allowing expats to be flown in from out of the country, to vote and then leave. It also means preventing the open bribery of voters that the country has seen during the past fifteen years. Consider this an open challenge to the US State Department. to conduct these elections, to insure that they are free and fair, lest we see Dominica become a satellite of a foreign country where the rule of law is what the leadership says it is, and Constitutional rights no longer exist. Abdul Mohamed Waked, one of the principals of what the US Department of Justice refers to as the Waked Money Laundering Organization, has reportedly filed a formal claim, against the Republic of Panama, for $165m in damages, for the loss of the Waked group's holdings, and lost profits. Two of the the Waked enterprises, a department store chain, and a shopping mall, were removed from Waked control, after massive OFAC sanctions, and later sold, and Waked seeks the net profits held in escrow, by the National Bank of Panama. The payment of that money is conditioned upon the removal of the existing OFAC sanctions currently in place, but the US District Court, in a well, reasoned 23-page opinion, entered Summary Judgment against the Wakeds, when they sought an order removing the sanctions, due to alleged Due Process and Administrative Procedure Act (APA) violations, which the Court rejected. The Wakeds later filed an appeal to the Second Circuit, but most likely, the trial court decision will be affirmed, as it cited extensively to favorable decisions from the DC Circuit. Now I have heard everything; one of the agent firms that collects obscenely excessive commissions has claimed, in a major news article, that the Citizenship by Investment program of the Commonwealth of Dominica is the most transparent of all the programs offered in the East Caribbean. That firm claims that the use of the funds earned by the Dominica CBI was fully disclosed, and that was the basis for the recommendation. What the spin master conveniently neglected to discuss in the article is the sad fact that many of the career criminals who purchased diplomatic Dominican passports also bought regular CBI passports. Inasmuch as the bad boys (and girls) with those handy diplomatic passports were known felons and suspects, at the time they became Dominican "diplomats," all these due diligence investigations were abject failures. Stop selling passports to unqualified applicants, please. 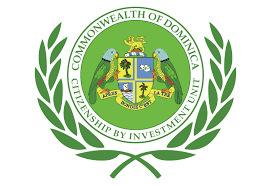 Therefore, as an objective observer of the region's CBI programs, since 1979, I am afraid that the intentional due diligence shortcomings of Dominica's Citizenship by Investment program has disqualified it, at this time, for consideration as the best CBI in the East Caribbean. 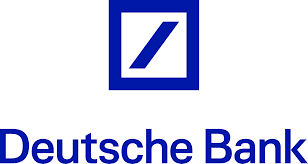 Readers who wanted more details of the civil settlement, between Deutsche Bank AG, Deutsche Bank Trust Company Americas, and the Fed, can access the complete text of the Order to Cease and Desist, and Order of Assessment of a Civil Money Penalty Issued Upon Consent, Pursuant to the Federal Deposit Insurance Act here. Partial list of recipients of payments from bribe proceeds. For those readers outside Dominica who wanted to see actual evidence of the money laundering being conducted by corrupt senior government officials in the Commonwealth, kindly review the handwritten list of payments that appears above. It clearly identifies the recipients of specific amounts of US Dollars, many in five figures or more. The money allegedly came from a bribe, reportedly received by Prime Minister Roosevelt Skerrit, from a principal government contractor. 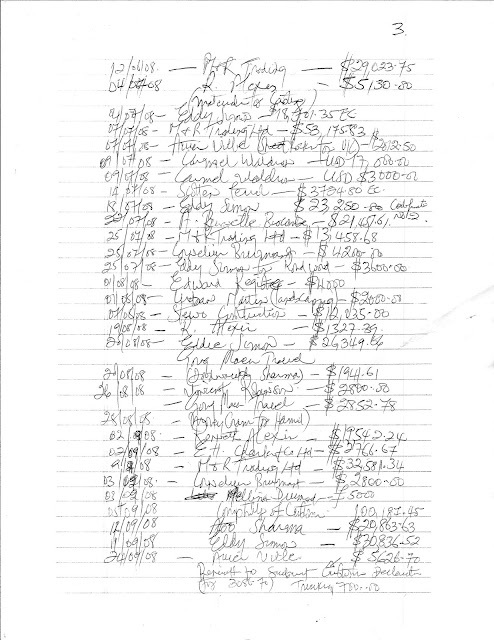 There are several pages of these records, covering a period through 2009.Skerrit's associates actually made the payments. If you look at the names of those Dominicans who took dirty money, those receiving the payments included Skerrit's family, friends, suppliers and contractors. Note the large payment to the Prime Minister's cousin, Carmel Winston Waldron, who lives in the United States, which is a violation of the Money Laundering Control Act of 1986; The Statute of Limitations for RICO is ten years, if you were concerned about the dates, and there are lists of later payments. Some of the payments were funneled to recipients by a corrupt local attorney, Stephen KM Isidore, who was employed by Roosevelt Skerrit, on whose behalf payments were made. No action was ever taken to enforce the law; Lennox Linton exposed this criminal conduct, to no avail in Dominica. Money laundering of criminal proceeds, by the sitting government, appears to be a fact of life in Dominica. 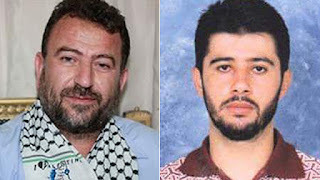 After Saleh Al-Arouri, the notorious Hamas leader of terrorists in the West Bank, was ordered to leave Turkey, where he was orchestrating armed attacks upon Israel civilians, he moved to Qatar, but that state also did not want him to supervise Hamas West bank operations from there, and he was required to relocate. (1) Hamas' close ally Iran, which funds activities of the Specially Designated Global Terrorist (SDGT) operation, controls five banks in Malaysia. This will facilitate supporting any Hamas contingent based in the country. 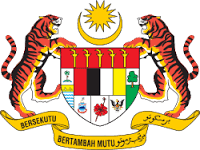 Malaysia and Iran have a close relationship, and Malaysia assisted Iran in sanctions evasion. (2) Palestinians of Hamas have received parachute training in Malaysia, to enable them to use powered parachutes, intended to invade Israel. (3) The Iranian oil sanctions evader, Alireza Monfared, operated his illicit oil sales scheme from Labuan, Malaysia's own offshore financial center. Monfared later fled Malaysia, ahead of Iranian extradition efforts, employing a diplomatic passport from Dominica. How many Hamas agents are living in Malaysia, directing terrorist operations ? We cannot say, but compliance officers would do well to reconsider the potential risks, of unwittingly facilitating terrorist financing for Hamas, which could be posing as a Malaysian company. The Gulf States, as well as major Arab countries, have all broken off diplomatic relations with the State of Qatar, due to its open support of radical Islamist organizations, and specially designated global terrorist groups. Also cited was Qatar's Al-Jazeera media network, which has long been accused of supporting terrorist organizations. Commercial ties with Qatar are also being cut. Under the circumstances, compliance officers who are charged with calculating Country Risk, are advised to elevate it for Qatar at this time. 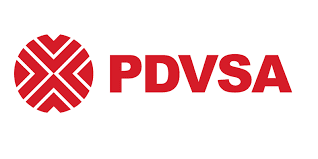 If you are a compliance officer at an international bank that either serves Venezuelan companies or nationals in the petrochemical industry, be advised that rumors are circulating to the effect that OFAC may sanction the Venezuelan national oil company, PDVSA. Whether the sanctions will only affect contracts to sell petroleum products to US Government agencies, and the military, or a blanket ban on the sale of all Venezuelan oil to US entities and individuals, is not known, but some action is expected. A total ban on sales of Venezuelan oil to the US could totally disrupt the moribund Venezuelan economy, which relies upon those petrodollars, the only reliable national export, to keep the regime afloat. It could also push Venezuela into default of its obligations, destroy many of those domestic companies that depend upon oil revenue, and raise Country Risk so high that financial transactions with Venezuelan companies would reach an unacceptable level. On the other hand, the US imports approximately eight per cent of its oil needs from Venezuela; could American oil fill in the gap, or will other producers step in ? Be alert for any new OFAC sanctions this week, as they may involve your bank clients, or their customers. ARE CHARITIES ASSISTING IN DOMINICA'S STORM RECOVERY ENGAGED IN MONEY LAUNDERING ? It has been brought to my attention that both the Dominica National Development and Disaster Fund (DNDF), and the Dominica Overseas National Association (DONA), which are engaged in extensive fund raising, for the benefits of victims of Tropical Storm Erika, may be fronts for illegal activities. DONA has reported only nominal income, during the last reporting period, £600, which is simply not credible. Where is the oversight of their purported charitable functions, and where did their funding come from/go to ? (1) They both have accounts at the same Lloyds TSB Bank in Chelmsford as Tiko Foundation, which is run by Omar Murtizaliev, the same Russian national whom we recently noted was formerly the Trade Representative at Dominica's High Commission in London. 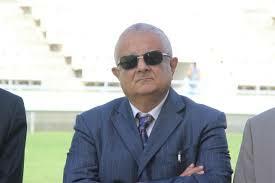 Mr. Murtizaliev is a residence of the principality of Monaco, according to filings. All the other trustees of Tiko Foundation are Russians, and they appear to reside in the UK. Its filings with the Charities Commission are delinquent. (2) They both have the same three trustees, Darren Sylvester, Esq,, Ethelda Brand, and Joseph Vidal. Moving on to a US-based charity, the Pierre Charles Foundation, located in South Florida, and named for the late Dominican Prime Minister, appears to be inactive, has no postings since 2015, and is in danger of being dissolved for failure to file an annual report. What's wrong with this picture ? A thorough inquiry into these charities might give us an entirely new perspective on financial crime activities involving Dominica, but what law enforcement agency has sufficient jurisdiction, staff, and the agenda, to engage in an international investigation ?